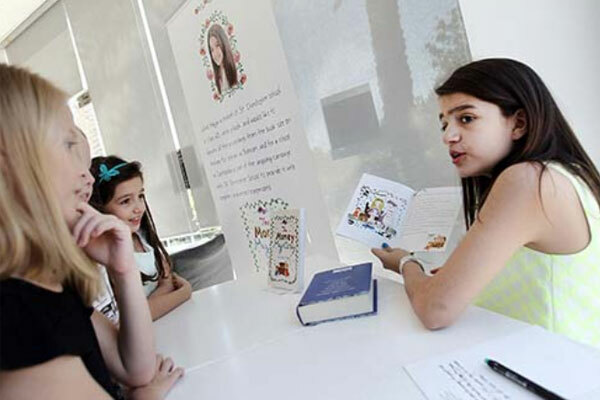 An 11-year-old girl, based in Bahrain, has published her first book. St Christopher's School student Caline Hajjar launched The Money Mystery yesterday at a book signing session in Words Bookstore Cafe in Budaiya, reported the Gulf Daily News (GDN), our sister publication. The event was attended by Lebanese Embassy charge d'affaires Ibrahim Assaf. All proceeds from the sale of the book will be donated to the Royal Charity Organisation and towards a school in Cambodia. The donation for the school was part of an ongoing campaign by St Christopher's School to provide supplies and equipment. "I was overwhelmed by the fact that my school was building a school in Cambodia and I wanted to participate," Caline told the GDN. Originally from Lebanon, Caline lives in Bahrain with her parents and sister. She said her passion for writing was inspired by her family. "My aunty and grandpa love reading and writing and I have a poet in my family," she said. Caline has also written several poems, which she intends to publish in her next book. "When I went on holiday to Oman, I felt inspired and wrote some poetry about that and I also wrote poetry about Valentine's Day as I was born then," she said. She added that she was excited to present her book at school tomorrow. The Money Mystery costs BD5 ($13) and is available at Words Bookstore Cafe.